Hunching over your Macbook? I catch myself doing it all the time, and there’s no better remedy than standing up for a good stretch—or, even better, standing while you work. All you need is a standing desk, and the most popular model on Amazon is on sale today. Going for just $30 (25% off), the Avantree portable standing desk sits on top of your regular desk. Just adjust its height (anywhere from 9.4 inches to 12.6 inches) and angle (up to 30 degrees), put your laptop on the 20-by-11 inch tabletop, and start typing away. Weighing a little more than 3 pounds, the Avantree standing desk is easy to set up and stow, and it even doubles as a TV tray. 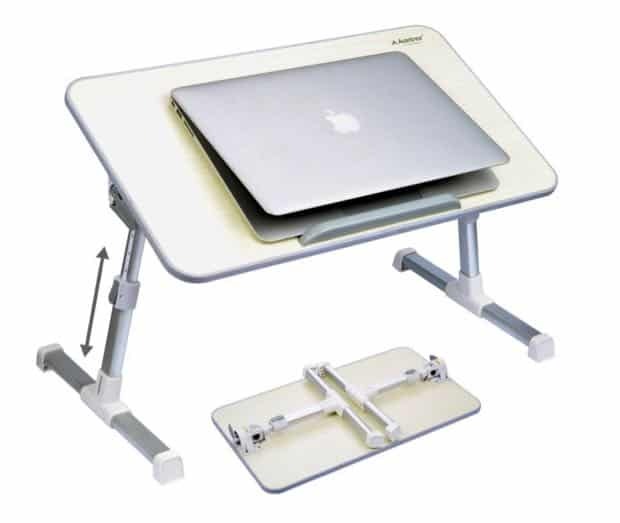 Check out the Avantree portable standing desk on Amazon! If you buy something through our Deals posts, we may earn some money. Thanks for the support!